This bag’s center compartment is lined with loop fasteners and comes with four hook and loop straps to secure the pistols inside and in place. The bag can fit two standard full framed semi-auto pistols. There are also two large flaps that close over the pistols to keep them from getting scratched and damaged as well as helping them stay in place. Included are heavy duty padded carry handles and an adjustable shoulder strap with quick connects. 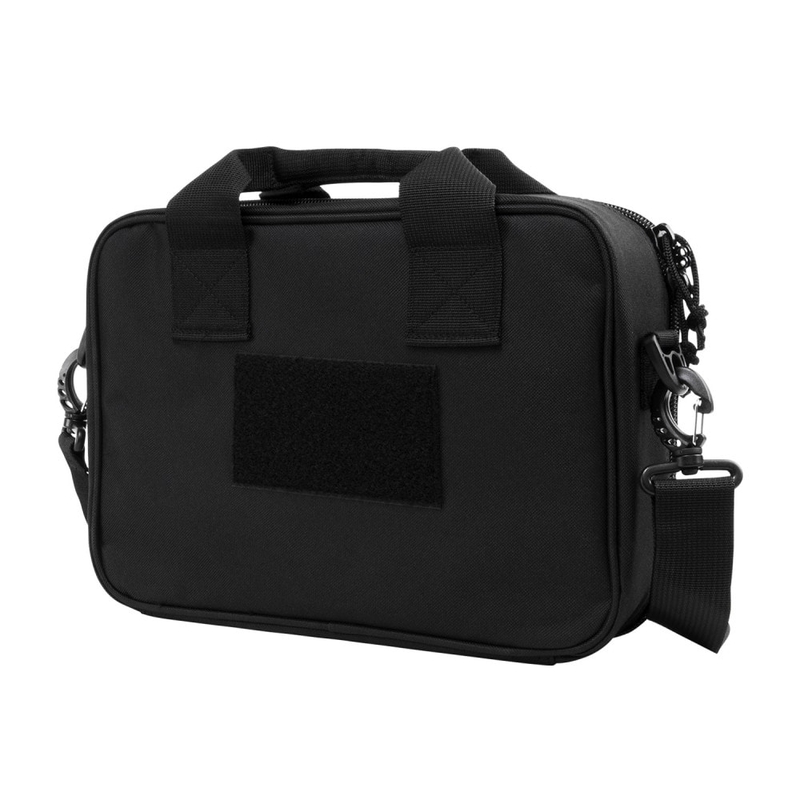 There is also an external zippered compartment to hold whatever you need to store while you are at the range whether it be paperwork, a phone, keys etc. On the back side of the bag, there is a 5” x 3” loop fastener patch to attach a name tape or your moral patches.